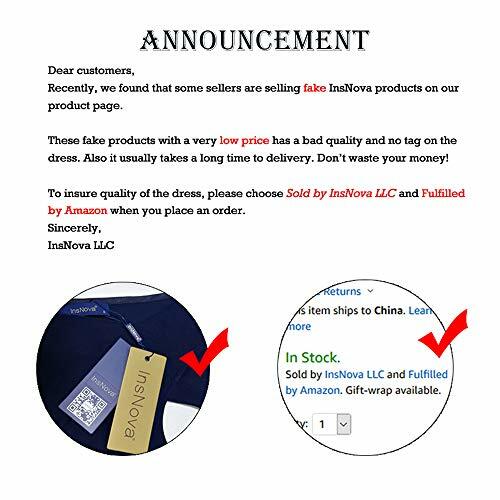 Please recognize the registered seller InsNova, other seller on this link are fake. Length: Above the knee to knee length. Size small measures 37.8" from shoulder to hem. 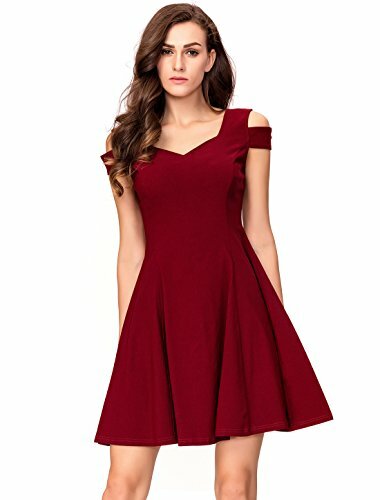 Size X-Small: bust ----- 31"-32", waist----- 23"-24", Length ----- 37.1"
Size Small: bust ----- 33"-34", waist ----- 25"-26", Length ----- 37.4"
Size Medium: bust -----35"-36", waist -----27"-28", Length ----- 37.8"
Size Large: bust -----37"-38", waist -----29"-30", Length ----- 38.2"
Size X-Large: bust ----- 40"-41", waist ----- 32"-33", Length ----- 38.6"
2. Contact us via amazon if you are not sure which size to choose. We will offer you the best suggestion. Please note that this item is packed flat when arrived. Please iron under warm and low temperature to remove the crease. Please take size refer to your measurement. Bust: S-33.86, M-35.83, L-37.8, XL-40.94 Waist: S-25.98, M-27.95, L-29.92, XL-33.7. 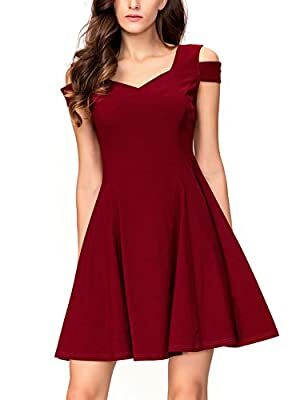 Length: S-37.4 M-37.8, L-38.19, XL-38.58 Knee Length, Cold Shoulder, For Holiday, wear to work, A-line Pleated Dress show your best shape Perfect for work, cocktail, prom, wedding & evening party. Note: Hand Wash & Low Temp Ironing. 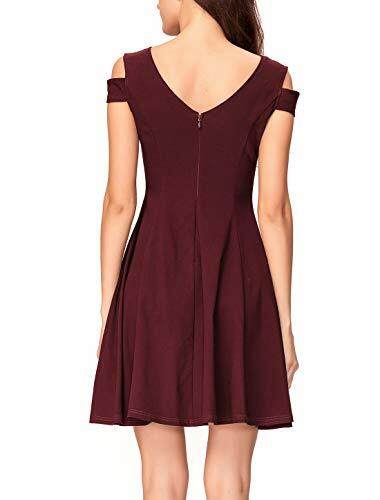 Burgundy & Little Black Dress for women, simple and elegant for bridesmaid, homecoming, skater, dating.